Patric Hornqvist was selected in the seventh round (230th overall) in the 2005 NHL Entry Draft. Hornqvist moved to North America for the 2008–09 NHL season in hopes of making the Predators' roster. However, he struggled and was assigned to their minor league affiliate, the Milwaukee Admirals of the American Hockey League (AHL), where he spent most of the year. He scored his first NHL goal on 15 October 2008 against the Dallas Stars. Hornqvist broke out in the 2009–10 NHL season, leading the Predators in goals (30) and tying for the team lead in points with 51. After the completion of the Predators' lockout-shortened 2012–13 season, Hornqvist was re-signed to a five-year contract extension on 30 April 2013. 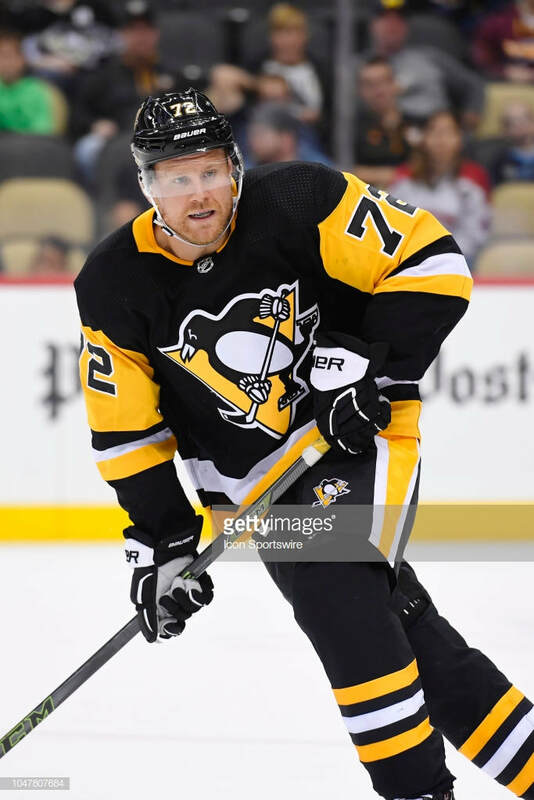 Hornqvist was traded to the Pittsburgh Penguins on June 27th, 2014 in exchange for forward James Neal. 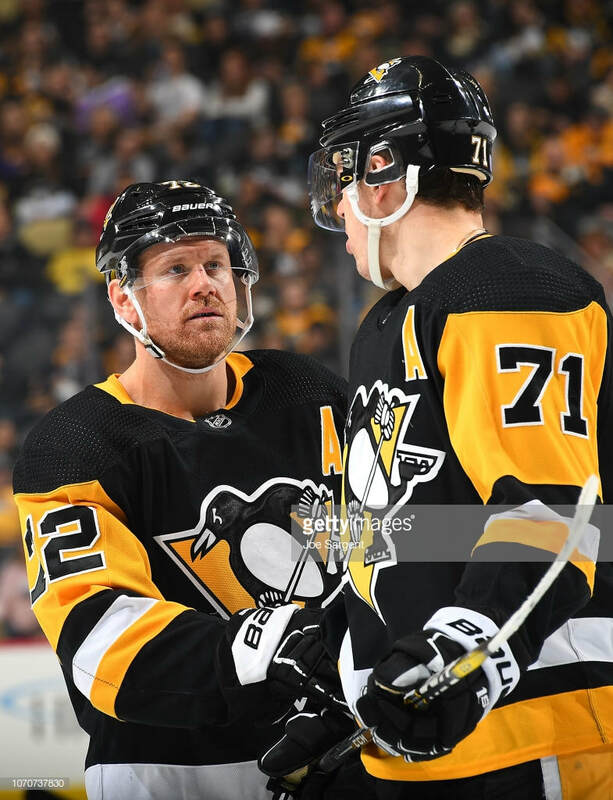 Hornqvist has since hoisted two Stanley Cup's with the Penguins (2016, 2017). 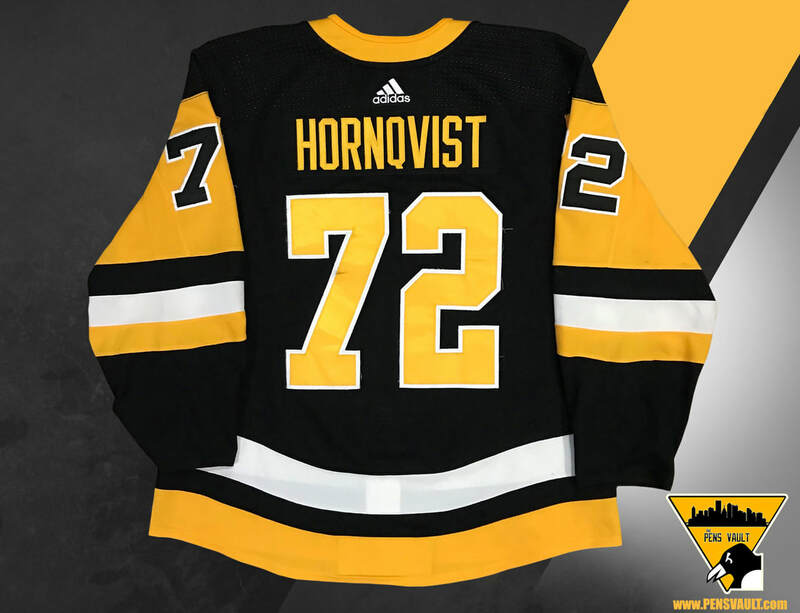 On 27 February 2018, Hornqvist signed a five-year, $26.5 million contract extension with the Penguins that would keep him under contract until the 2022–23 season. 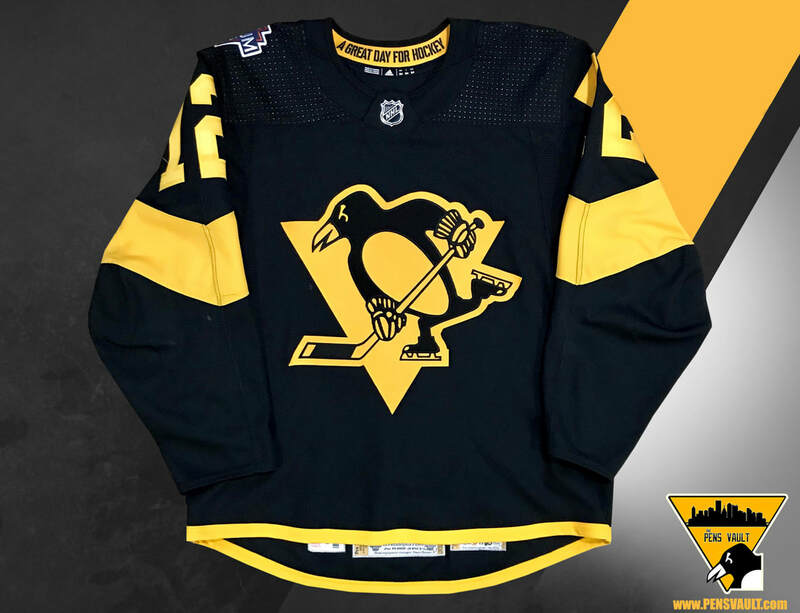 Hornqvist wore this home set jersey for twelve games during the first half of the 2018-19 season. 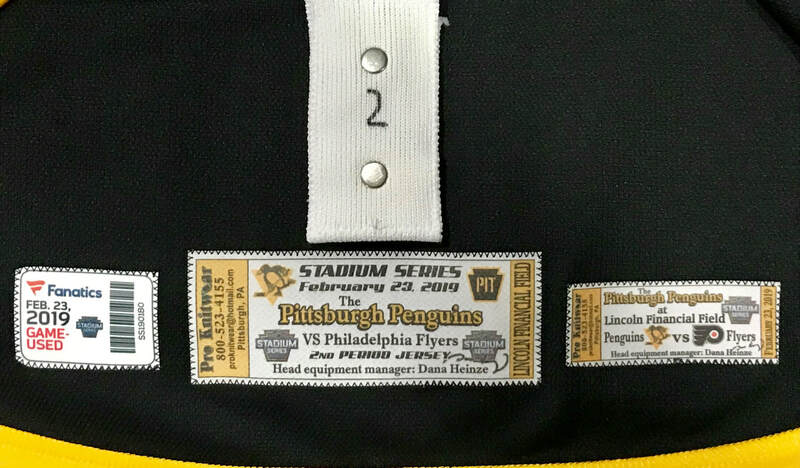 Patric wore the alternate captains "A" on November 19th vs Buffalo as team captain did not dress for the game. 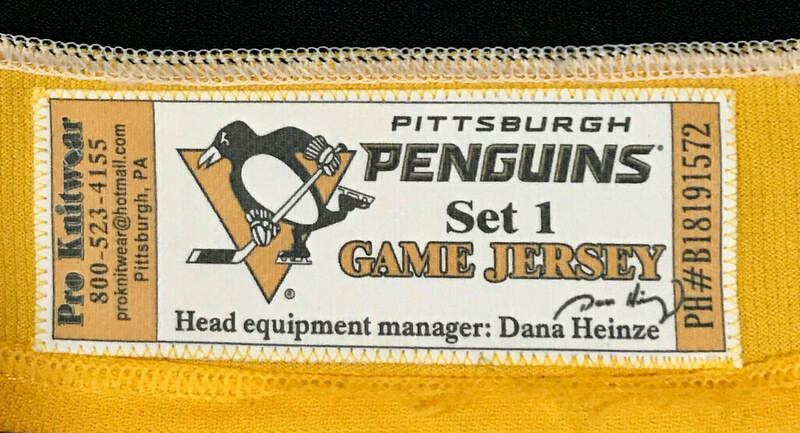 The "A" was later removed from the jersey. In the twelve games that Hornqvist played he scored eight points (4G, 4A). 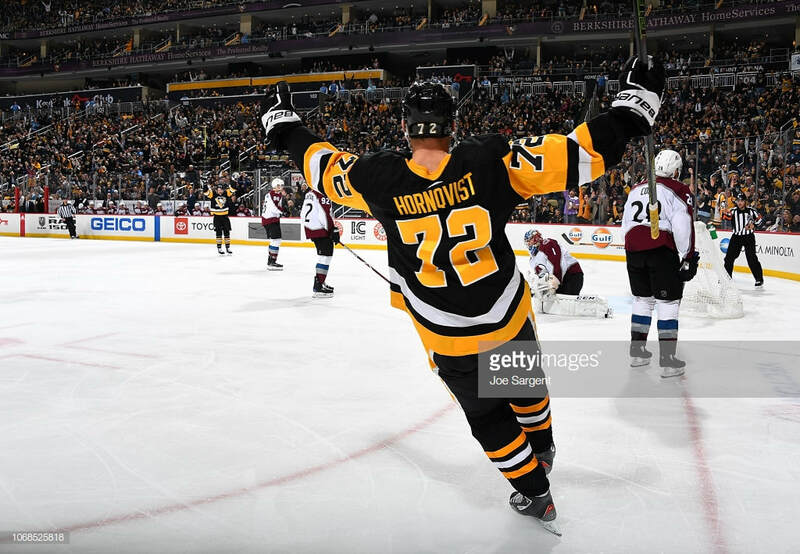 Amongst those games, Hornqvist set a new franchise record for fastest hat trick by a player after netting three goals in two minutes and forty-seven seconds against Colorado on December 4, 2018. The Penguins went on to win that game 6-3 over the Avalanche. The previous franchise record for fastest hat trick was held by fellow countryman, Nils Ekman. On November 8, 2006 Ekman netted a natural hat trick in 4:10 in a 4-3 overtime loss to the Tampa Bay Lightning. 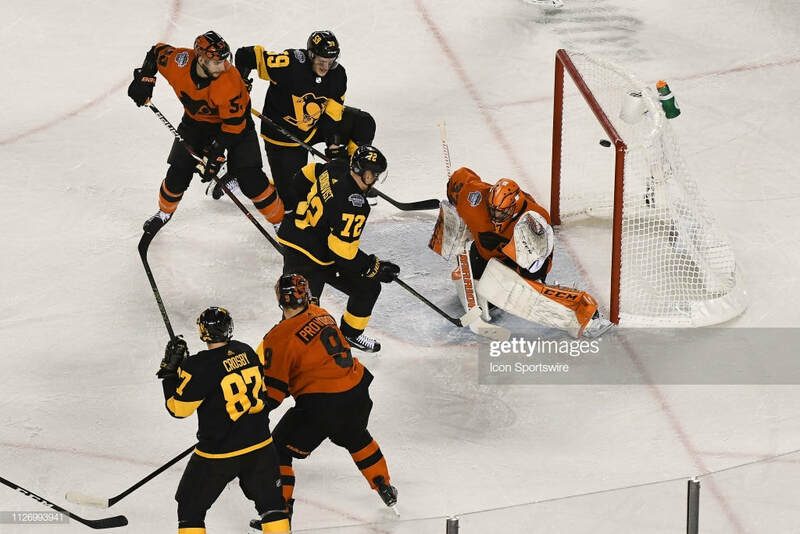 The Penguins and Flyers faced off in a rematch of the 2017 Stadium Series that saw the Pens skate away with a 4-2 victory at Heinz Field in Pittsburgh. This time, the scene was set at Lincoln Financial Field in Philadelphia, PA. The Penguins struck first on a goal by Sidney Crosby midway through the first period. 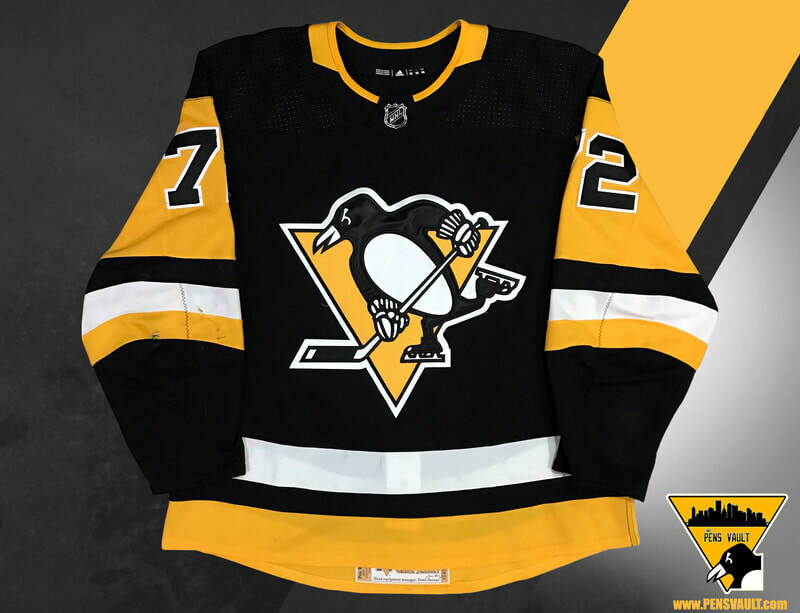 Hornqvist picked up an assist on a Justin Schultz goal halfway through the 2nd period. The goal put the Pens up 2-1 heading into the final frame. The Pens held a lead late into the 3rd period. The Flyers struck on the powerplay and added another goal with 20 seconds remaining to force overtime. The Flyers put the icing on the cake in overtime with a Giroux shot that beat Murray from the top of the circles. Hornqvist finished the game with 1 assist and 2 shots. He played a total of 17 minutes and 20 seconds during the game. 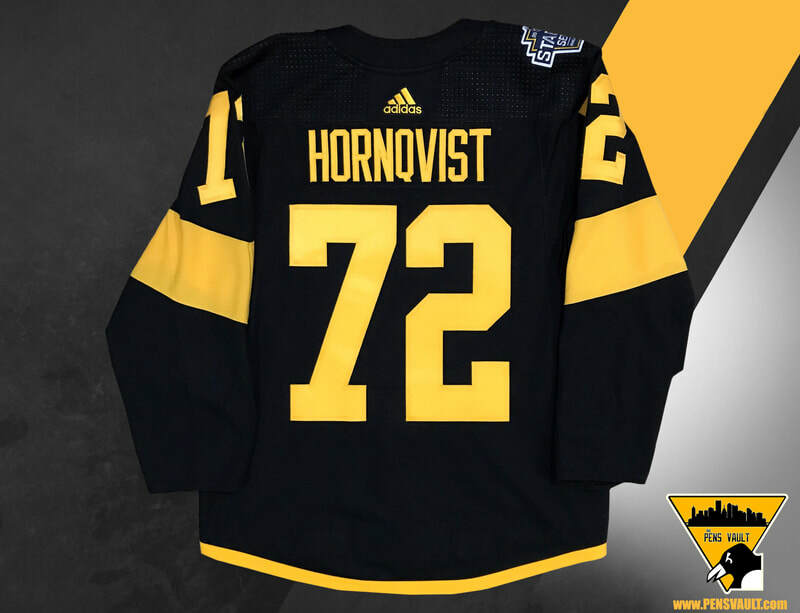 Hornqvist wore this jersey for the 2nd period in its entirety.